If you get the error message that “The user does not have an API access”, the REST API access has not yet been enabled for this particular user. 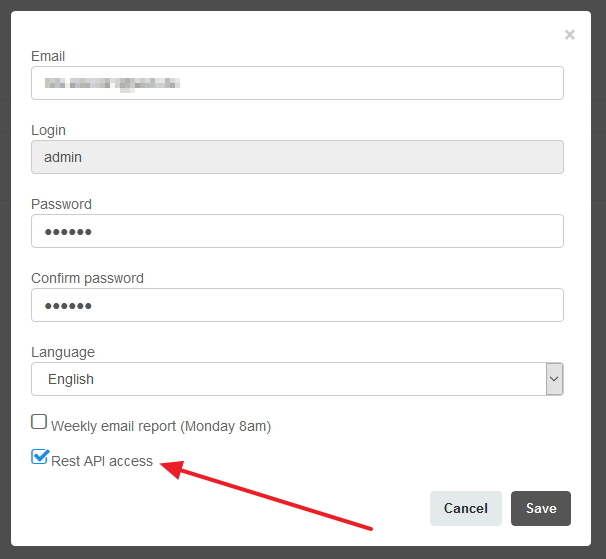 The admin of the account has to enable the REST API access for the user. Activate the “REST API access” checkbox – a blue tick will appear. Save your changes and log in again on your page.